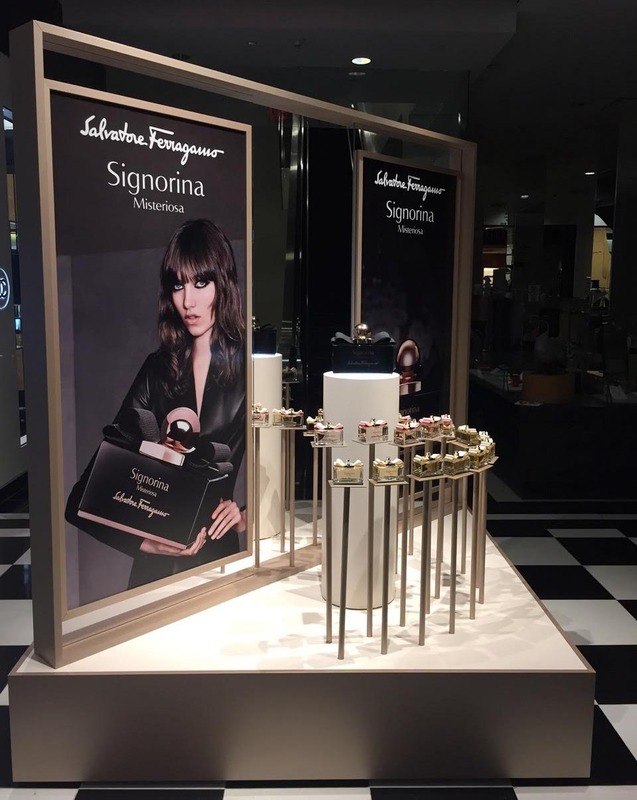 Fabulous Ferragamo — Geoff Howell Studio Inc.
Fabulous! Ferragamo! Fragrance! 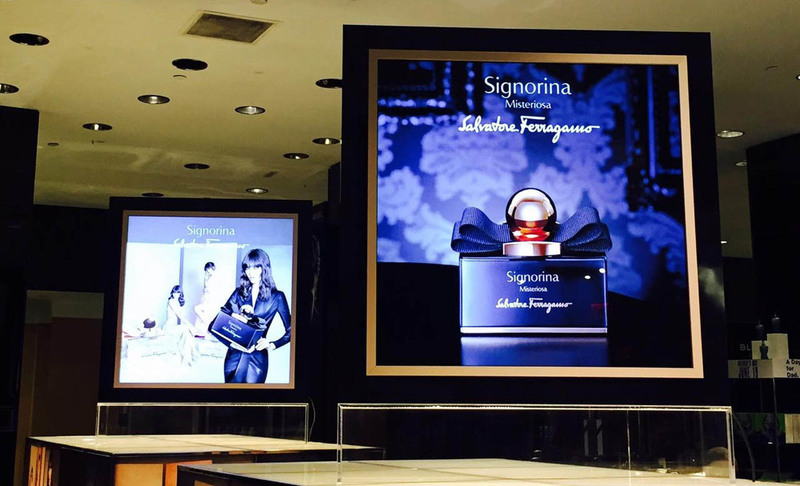 Recently at Bloomingdales on Lexington Ave, we built and installed a number of lightboxes, plinths, frangrance falderal and giant graphics for the launch of Ferragamo's latest fragrance "Signorina"